McCorriston Miller Mukai MacKinnon LLP (M4) is one of Hawai'i's preeminent law firms, serving the legal needs of these islands and the Pacific Rim for over twenty years. 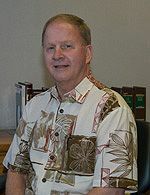 The Firm is comprised of lawyers whose practices and reputations are well-established and highly regarded in Hawaii and other areas of the Pacific Rim. The Firm is the fourth largest in Hawaii and represents clients in major transactions and litigation throughout the State. The Firm also represents foreign and domestic clients in international transactions in Japan, China and other areas of Asia. 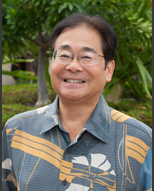 M4 has handled some of the largest business and real estate transactions in Hawai'i. Similarly, M4's litigation department is routinely involved in the largest cases in Hawai'i, whether for local, national or international clientele. The Firm also understands that the same level of effort and care are required for smaller business and litigation matters, and pride themselves on the ability to think outside the box and work as a team to meet clients' goals, whatever their size.